​"If you've never met Alicia Kent, consider this your introduction. I went to see her this morning for a Jin Shin Do session. If you've never had a JSD treatment before call up Alicia right now and book your session! This lady is *incredible* - and I don't just say that about anyone, I only promote something I truly love and believe in. For me, JSD is like a therapy and bodywork session in one. It uses acupressure points and brings energy into meridians in your body. I've been feeling really horrible for the last 3 weeks - mentally as well as physically. It's been slowing me down and I've not been feeling myself at all. After my session with Alicia today I feel *so* much happier, calmer, healthier. The pains that I've been feeling in my tummy have lessened considerably. Wow, what a special surprise I was honored with today. Thank You, My Superhero School! "Our Superhero of the week is Alicia Kent! Alicia follows her passion with Jin Shin Do, helping her clients get in touch with their own unique superhero talents by following her own. How inspirational is that? She's also a fantastic friend, a health nut and a great photographer. We're honoring you as our superhero of the week Alicia, you are one classy lady ♥"
You are an inspirational speaker and I am thankful that you have taken this time to share with us." "During Jin Shin Do sessions with Alicia, I have had many revelations that have resulted in innovative solutions to business problems I have been grappling with. I find the clarity and freedom of thought that I have achieved with the help of Jin Shin Do BodyMind Acupressure has resulted in many great ideas!" Hey! I wanted to tell you about the session we had and thank you again. I almost came straight back to tell you how much of a reduction in discomfort I experienced right away. I mean like just walking down the hallway to the elevator! Afterwards I felt a bit clearer minded, my circulation was improved and when I went to my next physio appt. they remarked that my hips were in alignment for the first time since the accident. (that's 8 months!) Now except for the immediate relief I can't guarantee which of those things are coincidental but I am definitely looking to come see you again. Thanks again, Alicia! "I can't thank you enough for sharing your skills with me. Thank you again for helping me release stress and review the many things that are deeply buried and stored in my body. It obviously was an intense and body-mind opening session for me, so I can only keep thanking you for caring for me during that session. I will not ever forget that session, and felt so grateful to have your careful, gentle and caring attention during and afterwards. I wish you all the best with your practice, teachings and workshops: you are doing very important work and for me it has already contributed to very positive awakenings for me. I would be very happy to schedule another session with you when I am in your area." " I could not believe the depth of my physical and emotional responses during the private couples session! It was the first time I have felt energy move through all my insides and force all those releases. It felt like dominoes falling all over inside me (no wonder I was quivering!) It would have been amazing enough if it had just been you, Alicia triggering all that but that it was my boyfriend, who has zero experience....amazing!!!" "The JSD Session Alicia Kent gave me raised my energy levels and released muscle groups which were holding tension. I felt that the entire session "opened gates" throughout my body. Finally, I felt more on purpose and heart connected (as opposed to being stuck in my head!) I highly recommend this multi level psycho/physical treatment to everyone! Following my session I literally felt I was walking on air!" has been brought to bear in a new area: Jin Shin Do. to make her a top student in her training. "Jin Shin Do has helped me in ways I didn't think possible.. I expected to feel relaxed and release some built up stress and tension, however it has done much more than that! The endorphins released leave you feeling blissed out and fabulous!! The emotional releases and discoveries are outstanding to say the least. Removing blocks, Jin Shin Do allows you to achieve your full potential! I no longer suffer from a lot of old thought patterns that created crippling anxiety and depression. Alicia you are a natural healer with a gentle loving nature that allows you to guide others through their session. I resonate in such a way with Jin Shin Do that I am just about to embark on taking the journey myself, course starts this week! Thank you Alicia for assisting me with this beautiful journey, it has truly been a blessing ♥"
“I want to extend my gratitude for your professionalism and dedication to improving my health. "I Fully recommend, at minimum, an exploratory session with Alicia. Our first session struck a deep chord of healing, and I eagerly anticipate my upcoming session. The wide variety of integrated modalities used in this process come with relief as now, I finally have the opportunity to piece together the stories I’ve discovered about myself throughout the years. These insights help to alleviate my (perceived) pain; the pain I originally sought Alicia’s help on. 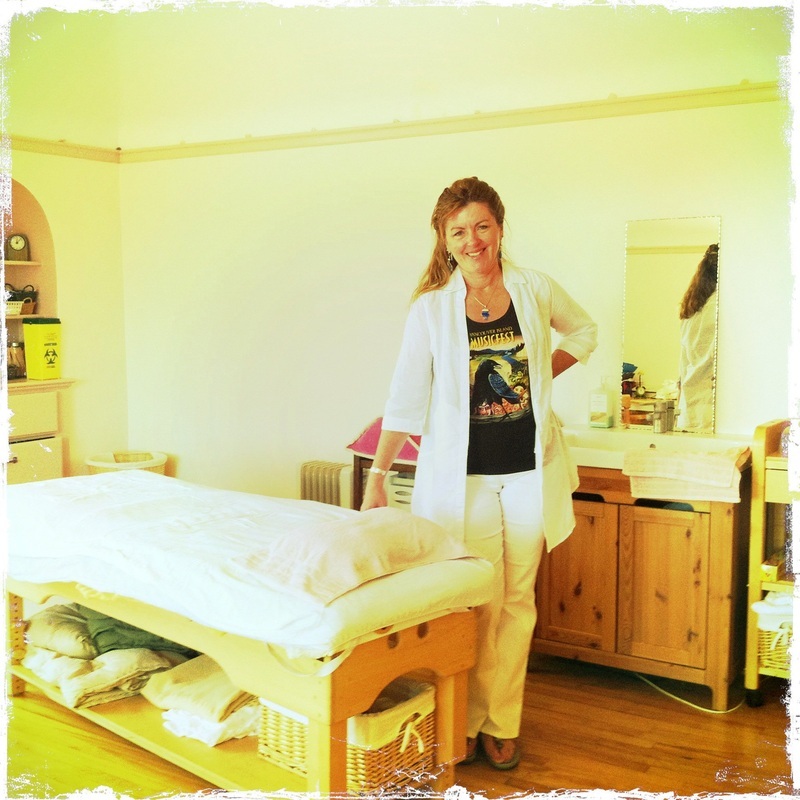 Thank you Alicia, for having the courage to open your own practice in the Comox Valley." and for your wonderful energy. feeling far less troubled than I have in a long time. Blessings to you, dear lady,"
What "Jin Shin Do" has helped me achieve is this amazing sense of open hearted love. That is truly the foundation for opening up blocked and mis-directed energy in our bodies. I now deep breathe inward with white healing light and breath outward with compassion . The constant pain between my shoulder blades disappeared after my first session with you. Another strong moment was when we were finishing that session, I have to this day not ever felt such an overwhelming feeling of motherly love. Wow! The connection between mind, body and spirit are so pronounced with this healing modality. Hi Alicia...just wanted to let you know that ******* really enjoyed her session yesterday. She said it was really helpful and exactly what she needs right now. She said of all the therapies we've tried this spring, Jin Shin Do has been the most helpful!! (and we've tried a lot!)." there has been a huge shift for ***** since her last session with you. bought a bunch of groceries and made us dinner!!! She is sleeping better, back to playing a little bit of soccer. She has definitely turned a corner. You are definitely doing what you're meant to do, how wonderful for you to have found your calling! And we're so grateful that you have!" "Thanks again, Alicia, for taking the time in my session. I found it quite powerful! The residual feelings were ones of finally being aware of my physical presence- actually feeling lighter in my body, feeling my muscles, feeling attractive - amazing! And the journey continues..."
"Today was THE best session..
WHY?“.....every deep breath through each pressure points was like breaking through sheets of ice..